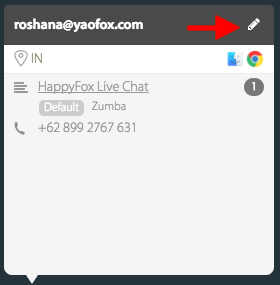 To collect your visitors' name, email and contact number before starting a chat, enable the pre-chat form option in your HappyFox Chat account. 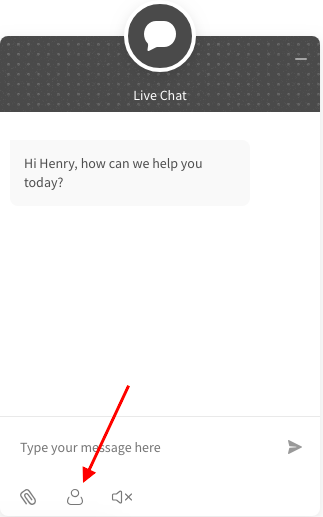 Step 2: Go to Manage page and click on Pre-chat form tab on left panel. Step 4: Now turn on "Your name, email and phone number" options. Apart from these you can add more custom fields based on your preference. 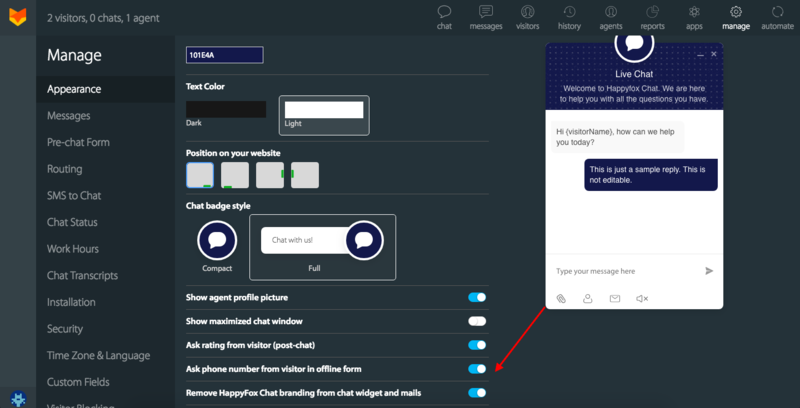 For more details refer this article - custom pre-chat fields. 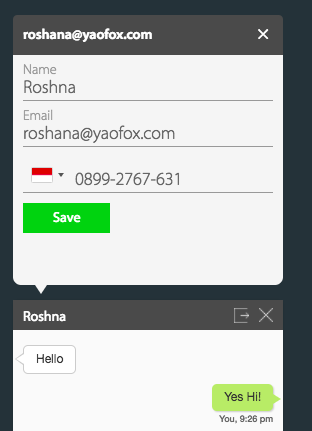 Step 5: Click "Save" button to save the pre-chat form settings. To make any of the fields mandatory hover over the field and you will see an edit icon. 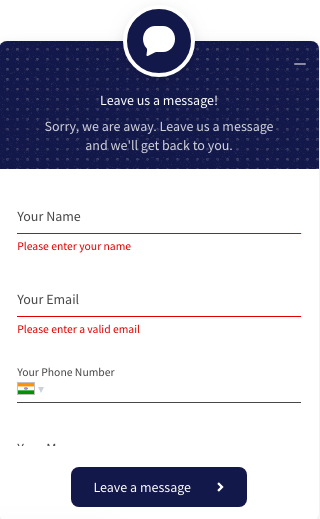 Note: The chat window will automatically identify your customer's location and display the corresponding country's flag in the phone number field. 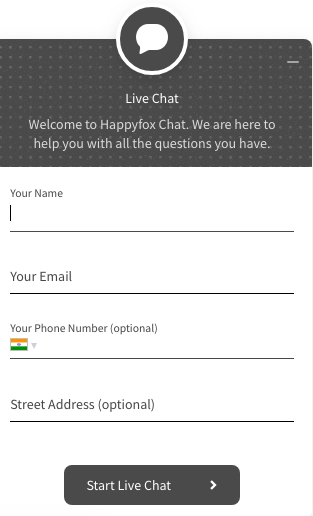 Incase if the customer entered invalid details before starting a chat and you want to request valid details. Click the edit icon. Enter the corresponding details and click "Save". Where will I view customer details? 1. 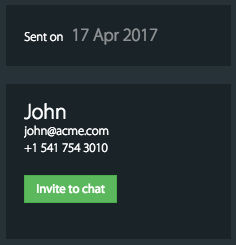 Name, email id and number information will be shown on the Agent's chat window apart from location, browsing path and integration details. 3. 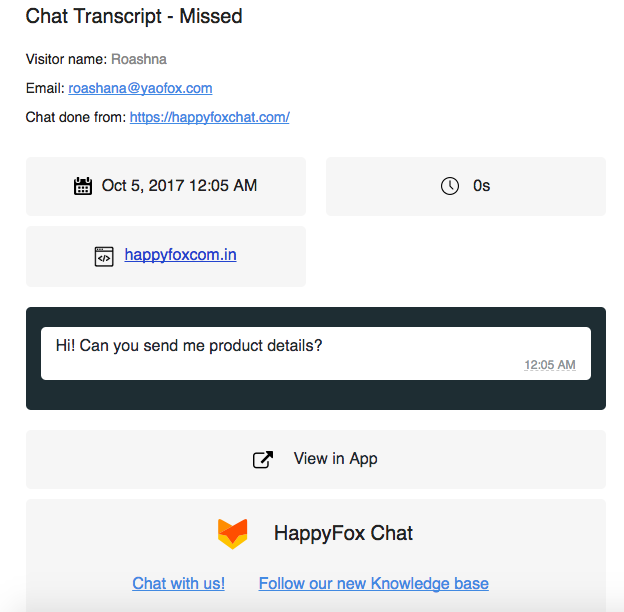 On the Chat transcript sent to your email id. 1. 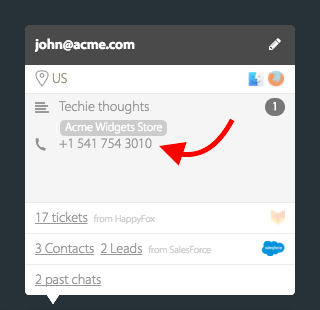 Go to Manage page >> Click Appearance tab on the sidebar. 2. 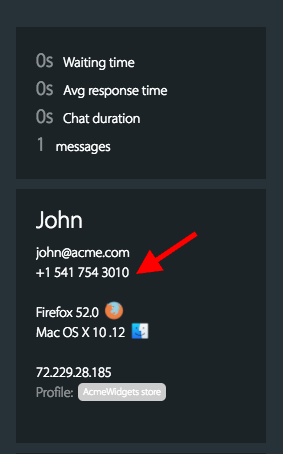 Enable "Ask phone number from the visitor in offline form" setting and Click "Save"
How to get visitor details, if Pre-chat form is off or if it is a proactive or a triggered chat?